Those who work in this industry know that it is no stranger to litigation. When a construction firm is on the defendant's side of the table, charges levied against it often include delays in project completion and subpar work done by employees. The plaintiffs may not be mistaken. It can be difficult for superintendents and project managers at a busy firm with multiple active sites to monitor work, compile reports, and keep track of suppliers, deliveries, and subcontractors on a daily basis. But these harried supervisor may be overlooking an effective tool for monitoring employees and subcontractors alike, issuing and updating warnings, and keeping shareholders in the loop. Its name: digital construction reports. When filed properly, today's digital daily logs and daily reports can not only create a record that can prevail in court. It can avoid litigation altogether by allowing superintendents and project managers to oversee work remotely, and stakeholders to understand what's happening in the field without having to visit it at all. One of the problems of construction reports in the past was the difficulty of keeping daily logs updated in the field. Deadlines were often missed, and documents were lost and damaged. But with Raken software for daily reports, compliance for these documents is easy to achieve. Easily completed from most mobile devices, Raken features industry-standard documents, meaning that these reports aren't only completed quickly, they're completed correctly. Raken clients report documents so easy to complete that they have almost 100% report completion compliance. But in addition to creating a paper trail that will hold up in court, Raken produces reports that allow supervisors to track site activity on a daily basis and help. 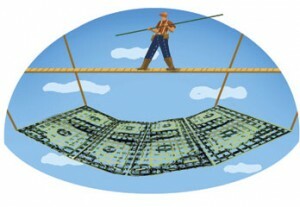 Overall, helping the risk management in construction projects. And with Raken software, supervisors, stakeholders, and clients can do more than read about site activity, they can view it. Raken's online dashboard, plus weekly, monthly, and executive summary report features allow viewers to access streaming video of work at and deliveries to construction sites. Not only can this provide a visual narrative in case of litigation, it allows multiple parties to visit sites without actually visiting them, answering their questions and improving site safety. For supervisors, this Raken tool saves on time and travel expenses, alerts them in real time to site problems, and increases worker productivity. No one likes to spend time in court, and many cases can in fact be avoided with better understanding and increased transparency. And not only can users achieve this with Raken’s software for a construction company, the end result are safer and more productive sites as well.